Mother Teresa Treasures, a store offering low-cost, new and gently-used items, opened its doors on March 6, 2001. Margaret and Bill Wallace spearheaded the establishment of this facility. At the time, it was Newburgh's only area thrift shop, offering a wide variety of products such as clothing, household items, furniture, and toys. Housed in the former Scot Farms Market (710 W. State Road 662 – corner of Frame Road and Hwy 662), Mother Teresa Treasures shared building space with the Newburgh Area Food Pantry, which opened on March 5, 2001. 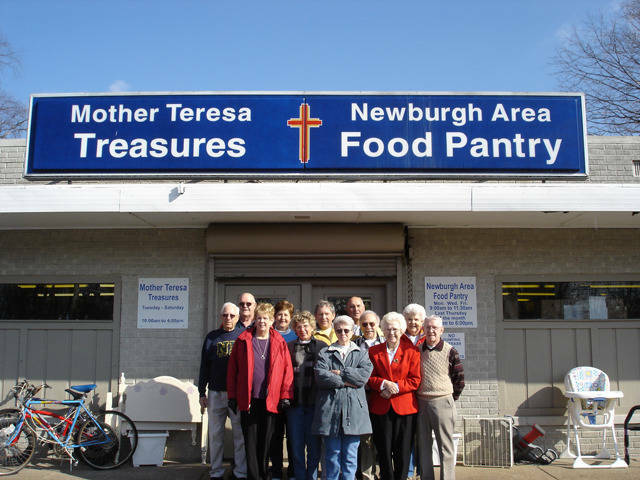 A blessing and grand opening for Mother Teresa Treasures and the ecumenically operated Newburgh Area Food Pantry was celebrated on Saturday, March 17, 2001 from 1:00 P.M. to 4:00 P.M. Through time, both stores proved to be a blessing to those in Newburgh and the surrounding community, so much so that new and expanded facilities for the Mother Teresa Treasures thrift store and Newburgh Area Food Pantry were dedicated on Saturday, May 16, 2009. Bishop Gerald A. Gettelfinger blessed the new building, followed by an open house. Members of the parish and others contributed equipment, expertise and sweat equity in providing the new home for these twin social outreach ministries. The building is part of St. John the Baptist Catholic Parish. 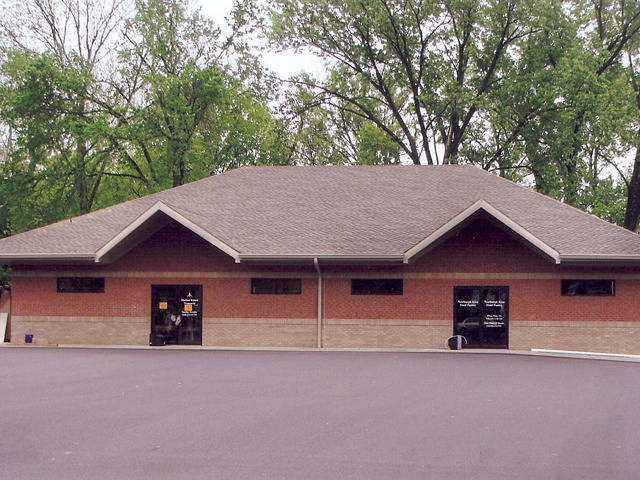 Two-thirds of the space is allocated to the thrift store; one third of the space is granted to the Newburgh Area Food Pantry to expand its efforts for needy in the Warrick County community. The new building virtually doubled the space for each of these organizations. Mother Teresa Treasures generates its inventory from gifts and donations from people near and far. It provides individuals an opportunity of sharing their own excess with others in need of items at a very low cost. In-turn Mother Teresa Treasures helps Red Cross, St. Vincent de Paul, Goodwill, United Caring Shelters, Beanies for Baghdad, Bethel Temple Sri Lanka Orphanage, Humane Society, Ohio Township Trustee, House of Bread and Peace, Aurora, and Katrina victims at New Orleans, and more. Hours of operation for Mother Teresa Treasures: 10:00 A.M. to 4:00 P.M. Tuesday through Saturday. Volunteers Needed! Some 100 plus volunteers staff the thrift store, but more are always needed. If you feel you can volunteer one or more days a month for a 3-hour shift, please call or e-mail Mary Gray, (812) 402-0061, rongray@wowway.com, Mary Titzer, (812) 853-8178, mctitzer@sbcglobal.net, or the Parish Office, (812) 490-1000, giving them your preferred volunteer day and time.